Chronic daily headache isn’t just a regular headache; it is a disabling headache that can obstruct your daily activity – not to mention that it can be painful too. Headache is a common issue that happens to all of us. Everyone must have experienced at least an episode of the headache for once in their lifetime. However, when the headache happens every day, there is something wrong with you. 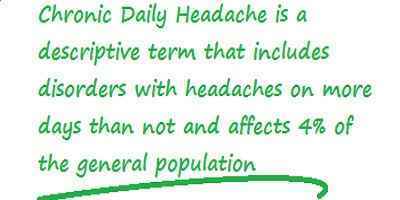 You need to have a long term management with aggressive treatment to deal with this issue (see migraine homeopathic remedy). 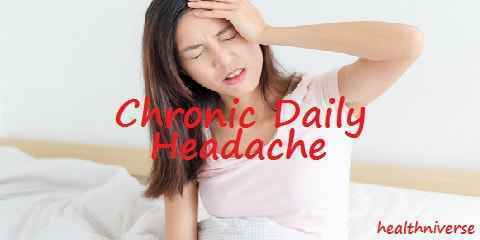 So, what is meant by chronic daily headache, anyway? Well, if you suffer from a headache for at least 15 days within a month, and it happens for at least 3 months, you are probably suffering from the issue. The headache may have different periods and episodes, such as short lasting pain and long lasting headache – which mean that the headache lasts for more than 4 hours. Chronic migraine, usually happens to people with episodic migraine. If you have chronic migraine for at least 8 days a month for 3 months and you have the symptoms of throbbing pain affecting only one or both sides of the head, you may suffer from chronic migraine. Physical activity will make it worse, and the headache often causes nausea, vomiting, and sound and light sensitivity. Chronic tension headache. This kind of headache makes the head feel tender, with tightening sensation to both sides of the head. It isn’t a throbbing pain and it won’t get worse with physical activity. New persistent headache. The headache generally happens suddenly, out of nowhere. They become constant in the first 3 days with tightening pain affecting both sides of the head. Hemicrania continua. This headache only happens to one side with continuous episode (there is no pain free time at all). The pain is moderate but it can spike to severe pain and the sensation of migraine like. Your doctor should be able to perform the examination and produce a prognosis. In the meantime, it would be best to get enough rest, exercise regularly, avoid skipping meal, and avoid the trigger. Reducing caffeine and stress would also be a good way to prevent the headache from happening. 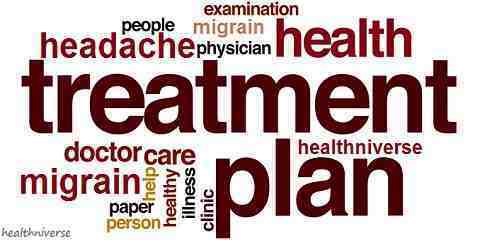 Never underestimate chronic daily migraine or it will affect your life in a serious way.